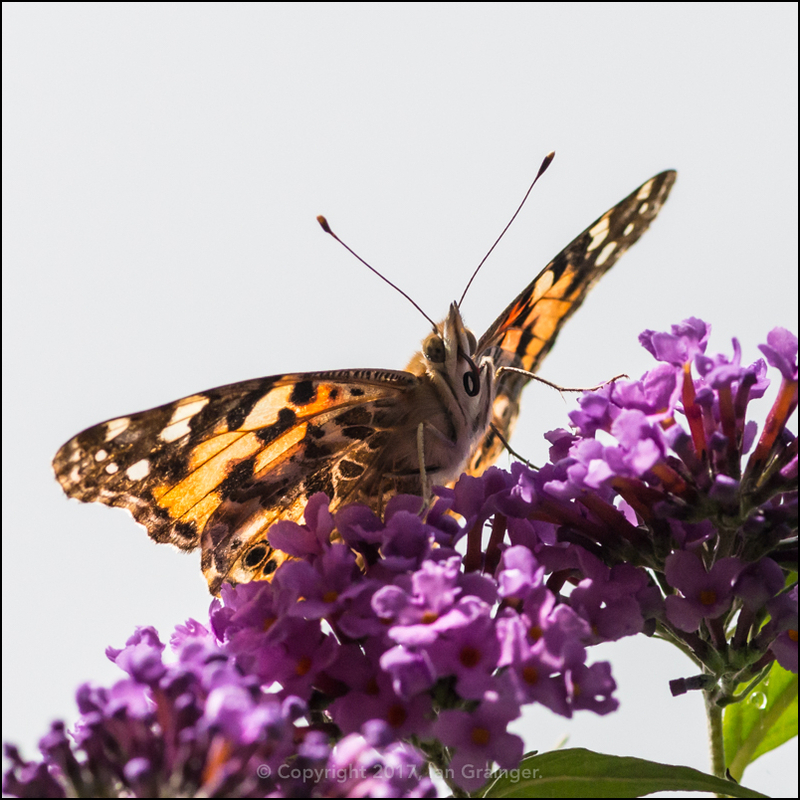 Although the weather wasn't perfect for my weekend photo shoot this week, it was sufficiently warm and sunny to bring out a plethora of butterflies. 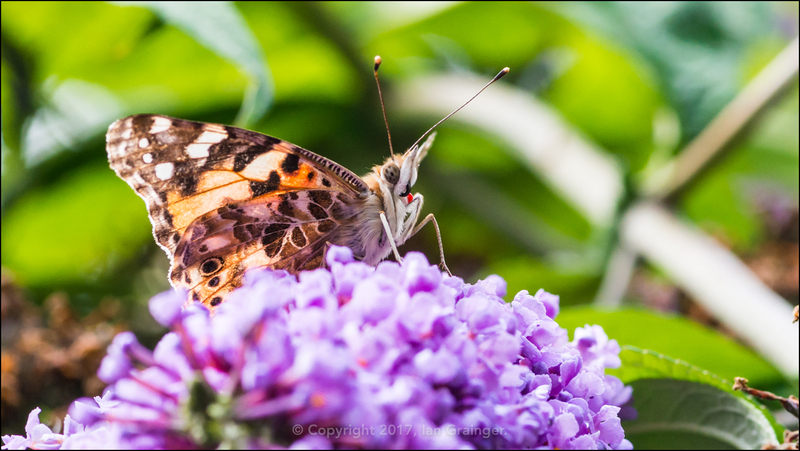 I was very pleased to see this Painted Lady (Vanessa cardui) butterfly as they seem to be quite rare visitors to dad's garden. 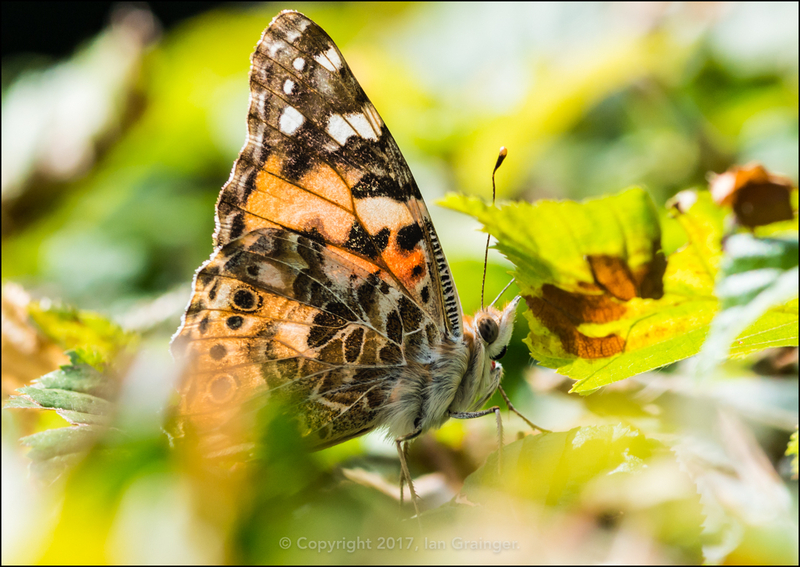 ...while this one preferred to shelter from the wind in the leaves of a nearby hedge. 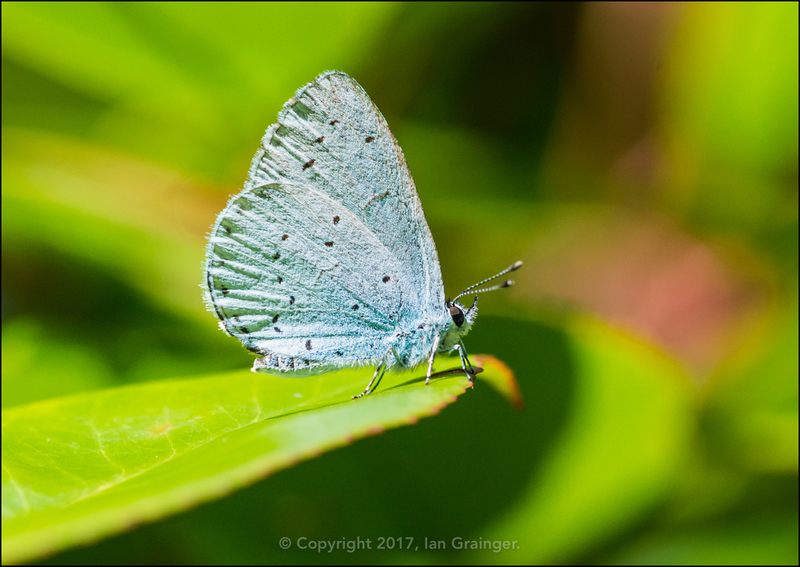 I was also very pleased to grab a shot of this small, but fast moving Holly Blue (Celastrina argiolus) butterfly, as I don't have many examples of the species in my photo archives. 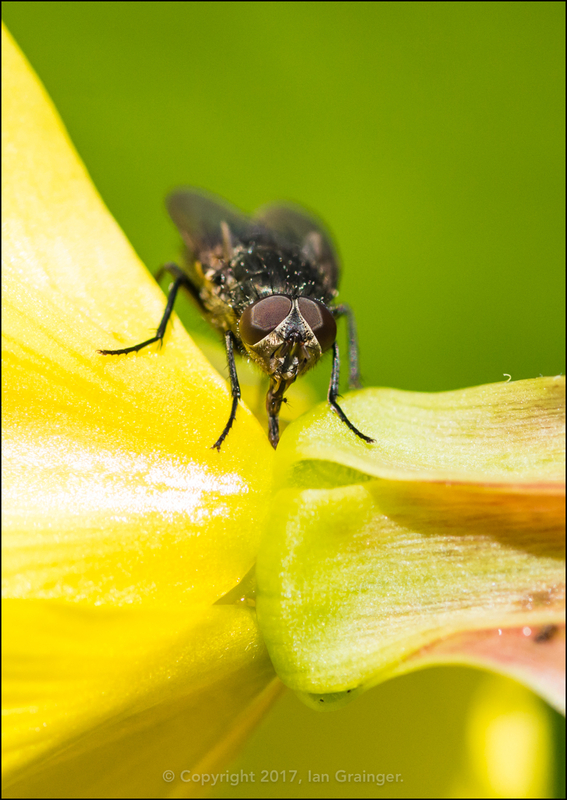 There were plenty of other insects buzzing around, with this Fly (Diptera) catching my eye as it collected pollen from an Evening Primrose (Oenothera) bloom. 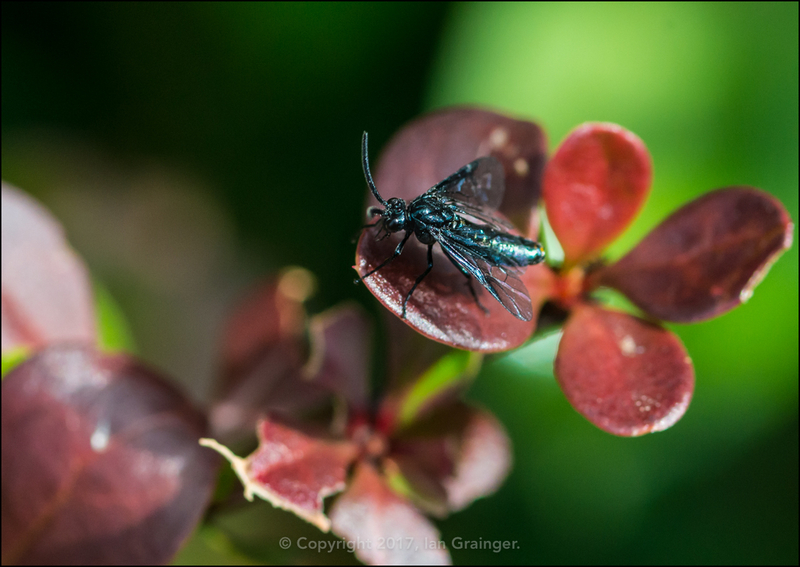 The Berberis Sawflies (Arge berberidis) had descended on the Berberis bush, and I assumed that they'd be laying their eggs so that their larvae would have something to snack on when they hatched. 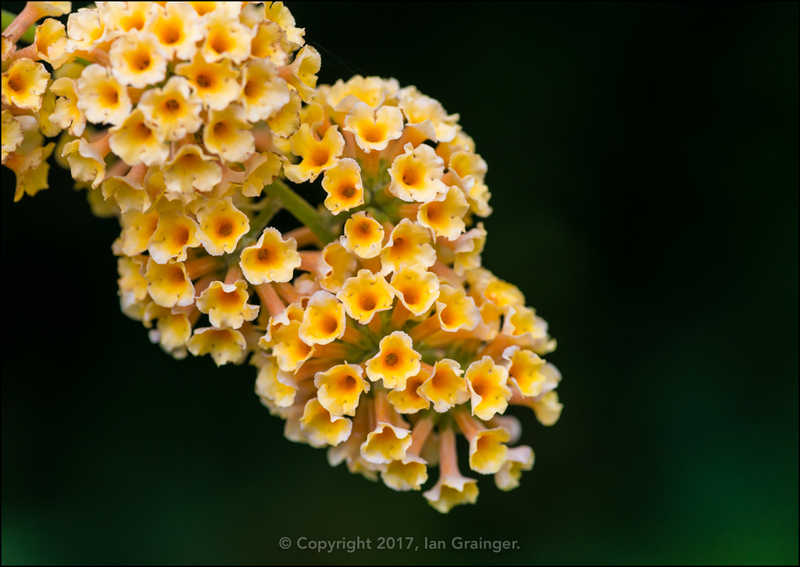 New flowers to the garden this week included mine, and seemingly the butterflies favourite coloured Butterfly Bush. 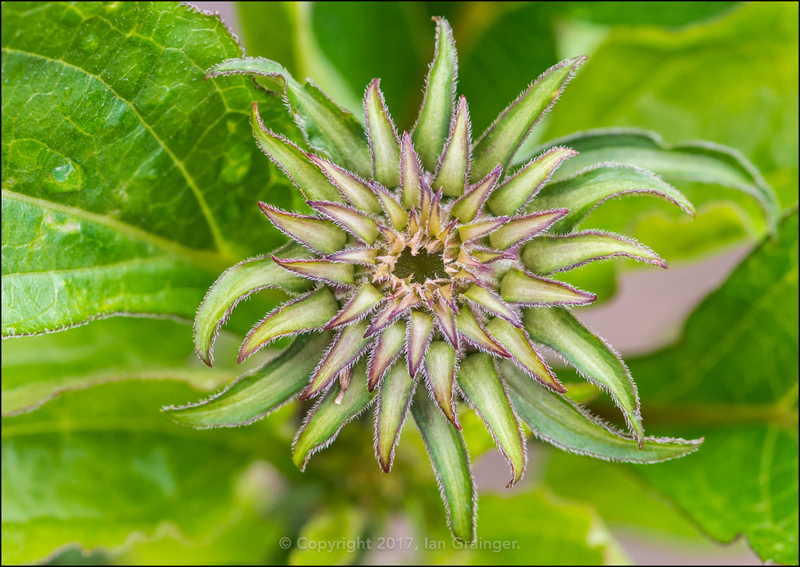 This particular bush is more like a tree, and the main stem is over six inches in diameter. 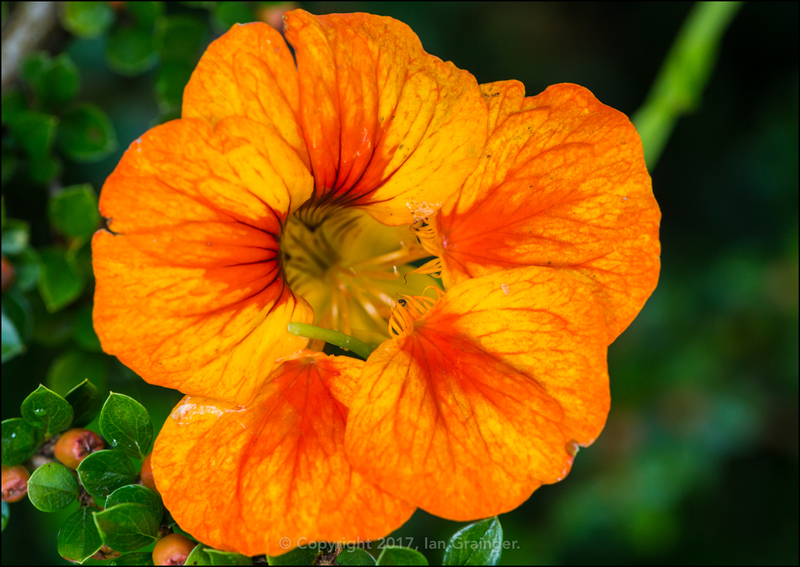 While I'm not the greatest of fans of the Nasturtium (Tropaeolum), I was quite taken with the colouring of this particular flower. 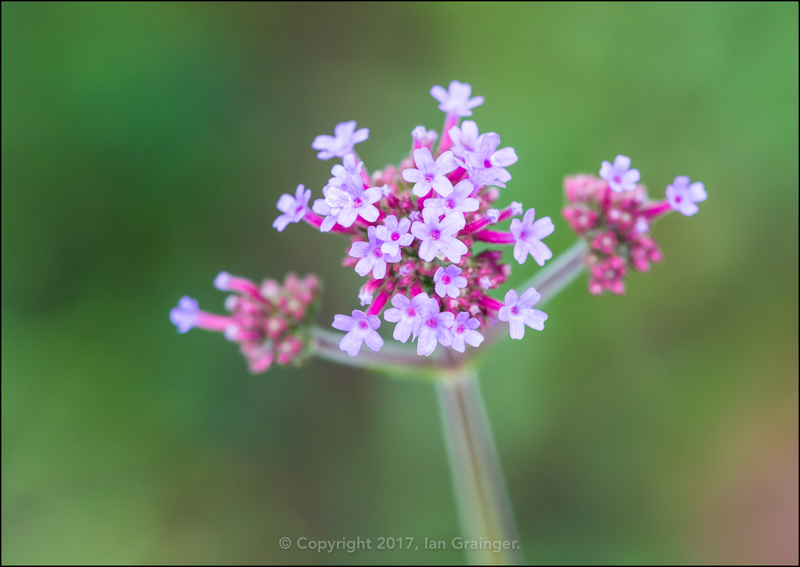 The lovely little Verbena (Verbena bonariensis) 'Buenos Aires' blooms were continuing to grow, and would soon form little parasols that would hopefully attract more insect life. The Anemone De Caan bulbs that were planted for springtime colour were all opening up a few months too late, but were certainly fulfilling their promise of colour. 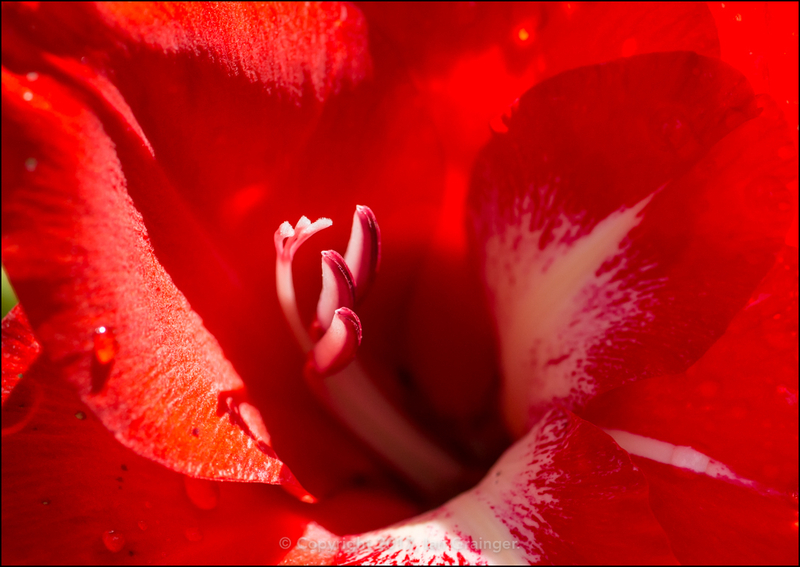 ...and this gorgeous red one. Even one of the oldest flowers in dad's garden, a twenty year old rose bush was getting in on the act. 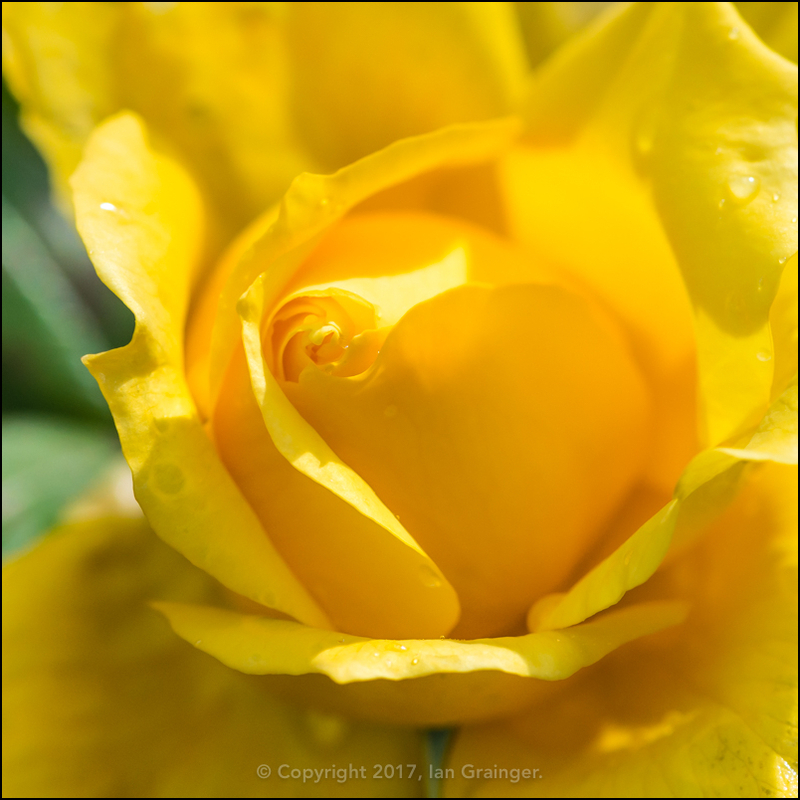 This yellow rose was planted when they moved into the house, but has suffered from black spot for the past couple of years which has effected the number of flowers it produces. 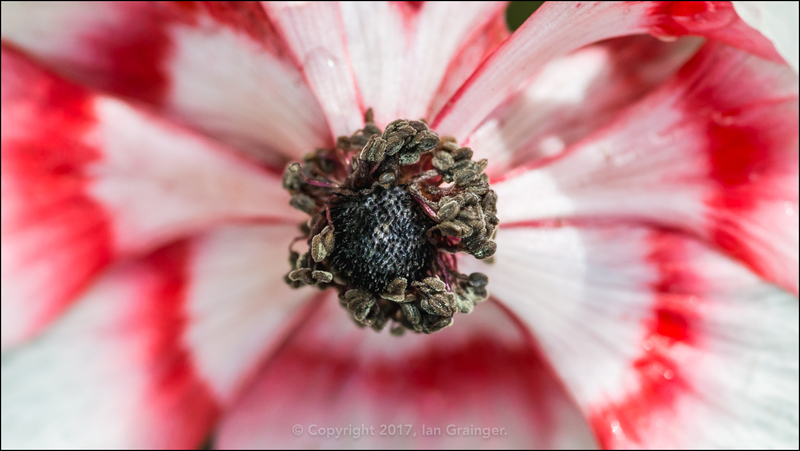 I'm hoping that next week the Coneflowers (Echinacea) will have arrived, although the flower buds certainly provided an interesting photo opportunity. 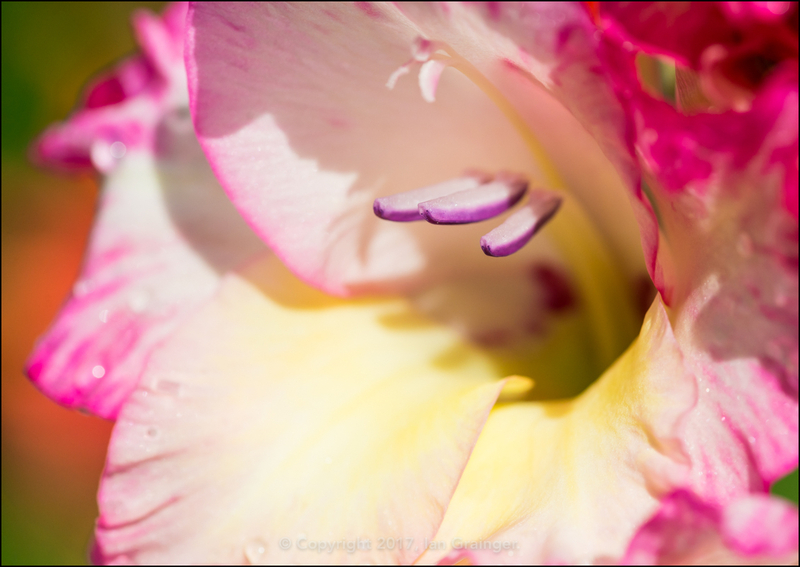 This one reminded me of a jester's hat! 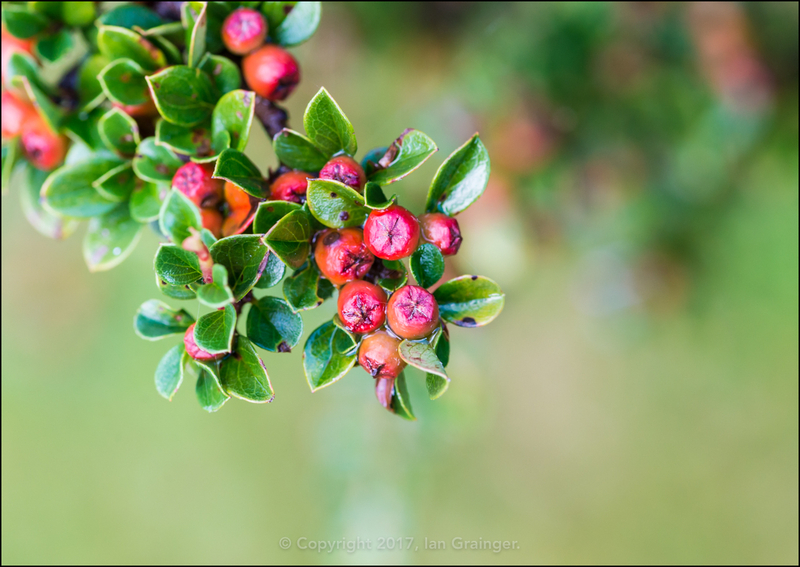 The Cotoneaster was already getting its Autumn coat of berries, which was a reminder of how quickly this year seemed to be passing by. 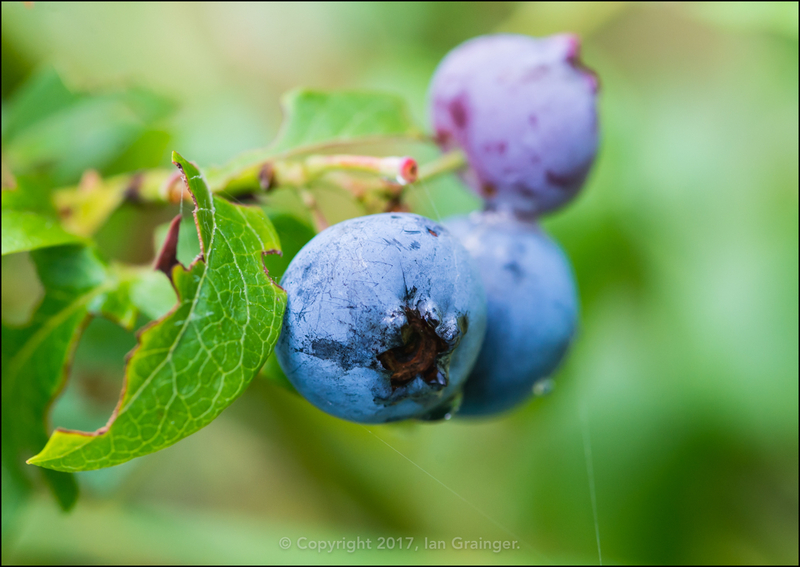 I had a lovely treat after taking this photo, as I gobbled down a few very sweet Blueberries from the Blueberry (Vaccinium) bush. 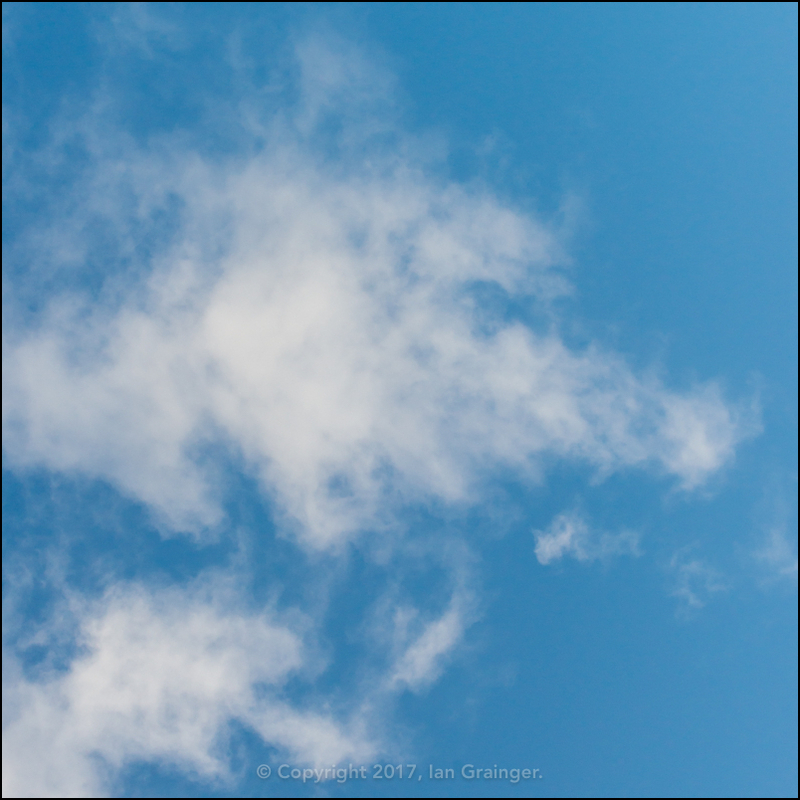 Turning my camera skywards to take some photos of my feathered friends, I was intrigued by this cloud. I thought it looked quite like a foxes head, what do you think? 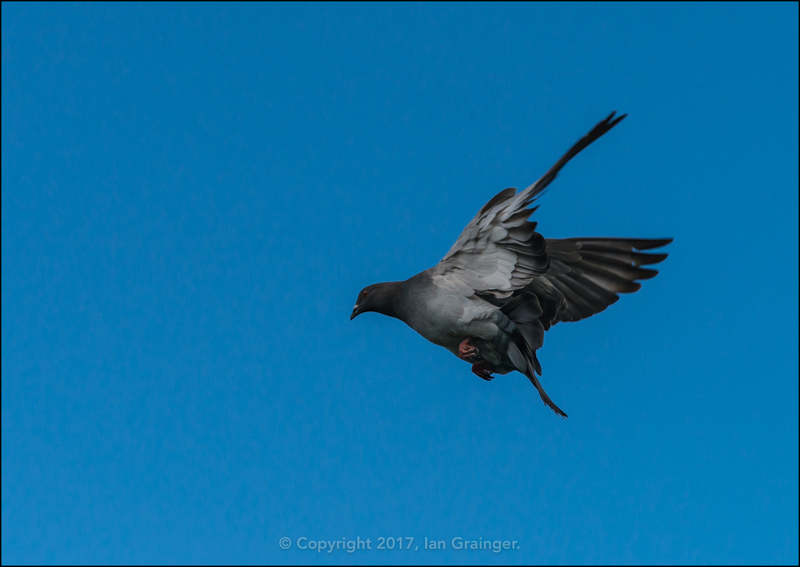 I always like photographing the Feral Pigeons (Columba livia) as they hurl themselves from a nearby rooftop. I always wonder how they know they can fly the first time they take that first leap. 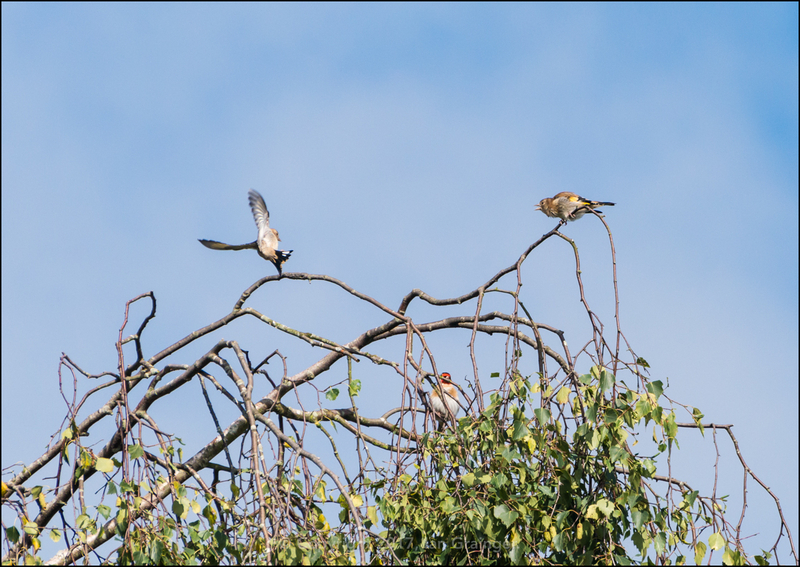 This was an interesting little group of Goldfinches (Carduelis carduelis) to watch. While the youngster on the right squawked endlessly, the older one on the left, which was also young, went off to collect food for it. All this happened while one of the parents (behind the branches) sat and watched what was going on. 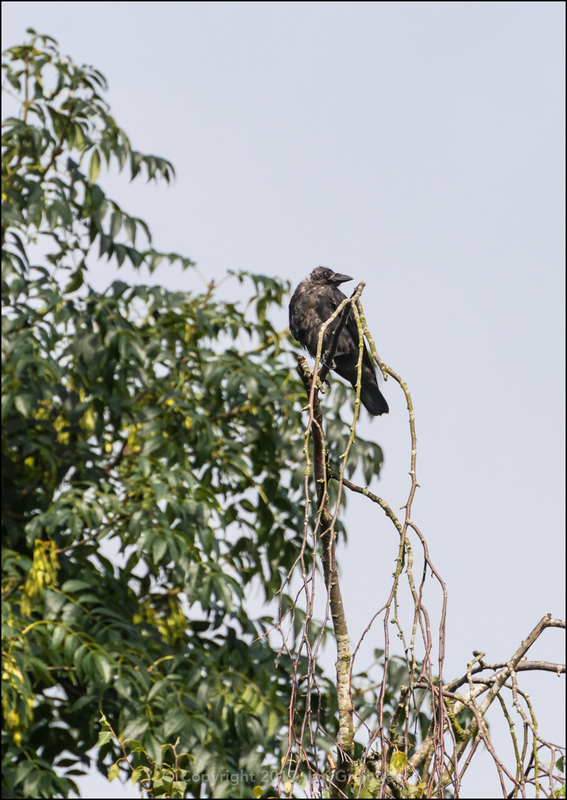 I'm not completely sure, but I think this is a young Jackdaw (Corvus monedula) which is just losing its fluffy layer of down feathers. He looked quite comical as he flitted from tree to tree. 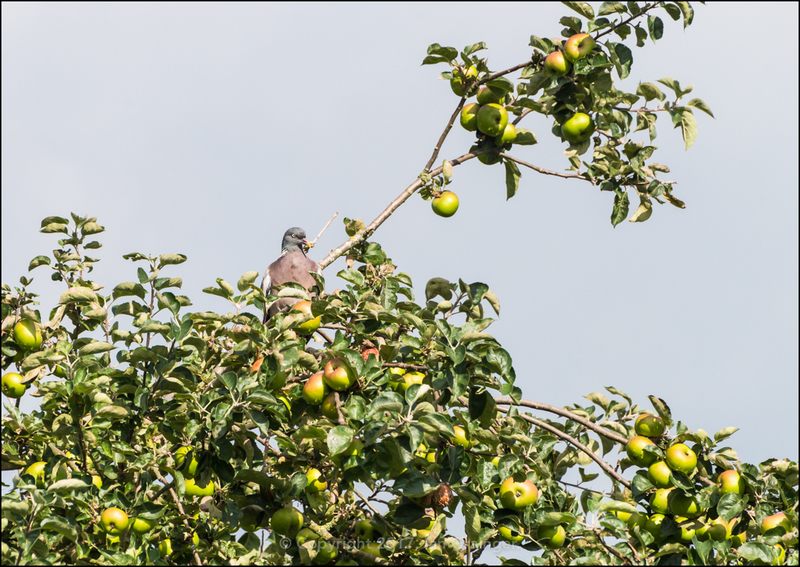 I think that this Woodpigeon (Columba palumbus) was dying to try one of the juicy looking Apples that surrounded him. On more than one occasion he took a peck at one, but they must have been too hard for his beak to penetrate. 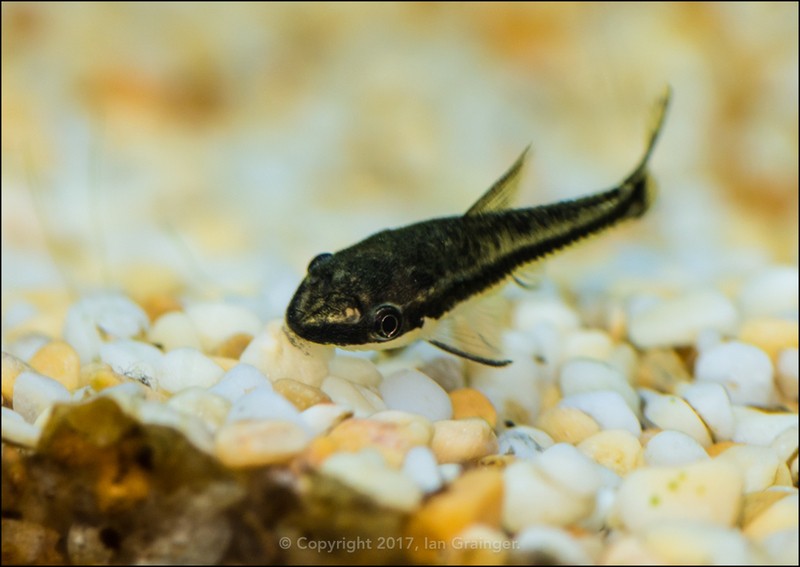 Finally, I've been too busy this week to do any fish photography, so here's a shot I took a couple of months ago of one of my Otto (Otocinclus) sucker mouth catfish. They are prodigious algae eaters, and keep my gravel and glass free from the awful green stuff.